The 68th annual Primetime Emmy Awards was in full swing last night and we’re still buzzing over it! Aside from fab host, Jimmy Kimmel, some of the big wins of the night were to be expected (we’re talking to you, Game of Thrones! ), while others were more like awesome sneak-attacks, like Rami Malek for Mr. Robot and a couple of our favs, Alan Yang and Aziz Ansari for Master of None. 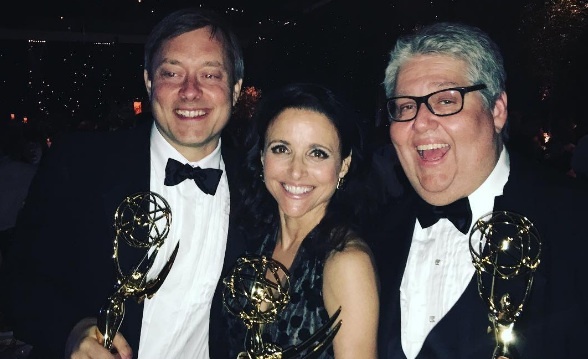 Some of the highlights included the incomparable Kate McKinnon’s win which sparked a Twitter frenzy in full support, Julia Louis-Dreyfus accepting her so deserved fifth consecutive win as lead comedy actress for Veep, The People v. O.J. Simpson: American Crime Story earning five awards and now, HBO claiming victory as most Emmy wins ever! Congrats to all the winners! You can see the full list here.